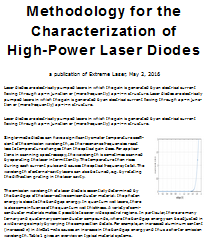 Abstract: Emission of light with narrow linewidth is a special features of lasers, which can often enough cause enormous trouble. 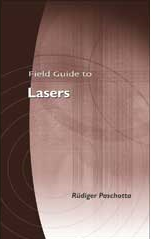 The article gives examples in the context of digital laser projection displays, interference effects in cameras, and problems with nonlinearities in optical fibers. When using a laser-based RGB source to project digital images on a screen, laser beams with a too high temporal coherence can lead to nasty laser speckle effects. These can to some extent be reduced by optimizing the details of the screen, but the most elegant solution may be to increase the laser linewidth, if that is possible. Similar kinds of nasty interference effects occur when taking an image of a laser-illuminated scene with a camera which is not designed for use with narrowband light. For example, any kinds of optical windows can contribute pronounced ring structures which would not occur with broadband light (e.g. daylight). Such effects can render the taken images completely useless, and it can be hard to solve that problem by modifying the camera. When sending a laser beam through an optical fiber, stimulated Brillouin scattering can send most light back to the source above a certain threshold power, which can be fairly low for narrowband light. In some cases, one first has to send the light through a modulator, which increases the bandwidth in order to increase the Brillouin threshold. In principle, one may restore the original bandwidth with a second modulator after the fiber. I have seen quite a few cases where a larger laser linewidth would have helped to avoid a lot of trouble, but was difficult to obtain. For example, it would be nice to have laser diodes emitting e.g. a few milliwatts of power in multiple resonator modes, but only the higher-power versions can usually expected to exhibit multimode emission. Note that operating such a laser only slightly above threshold is no solution, since one will then usually obtain single-mode operation.